It’s Time D-Heads! 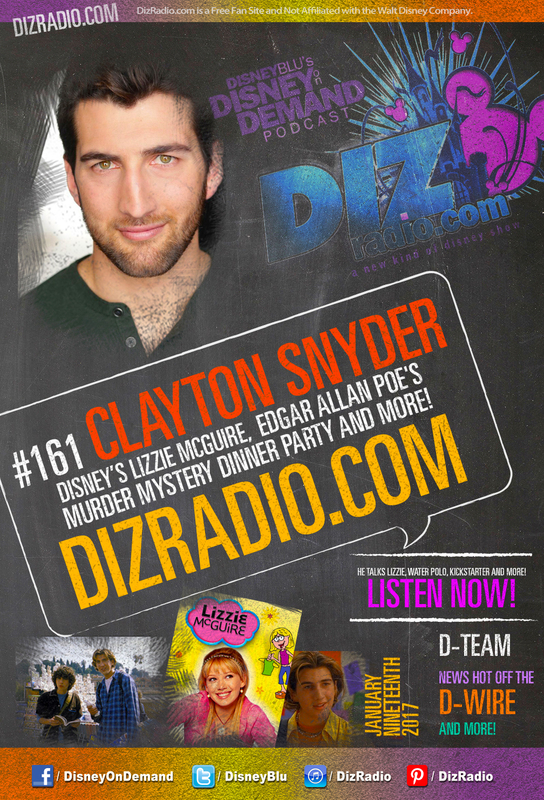 This week we dance like crazy, head to Rome and have some fun as we welcome CLAYTON SNYDER (Lizzie McGuire, Edgar Allan Poe’s Murder Mystery Dinner Party, Water Polo and more) to the show! 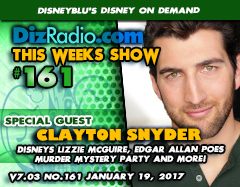 Clayton stops in and discusses what it was like being part of Lizzie McGuire, his favorite moments, the fans, and a reunion idea. In addition to what he is doing now, Water Polo and so much more. In addition no show is complete without the D-Team and this week some the team is out due to some winter colds but fear not we have the latest from the Walt Disney World Resort with WDW-in-2 with Caitlin. Cody takes a stroll down the Hollywood Walk with more on our special guest Clayton Snyder and Jason stops in from The Vault with another Blu-Ray you must add to your collection. And let’s not for Paige bringing the music for your ears in the Magical Music Review. 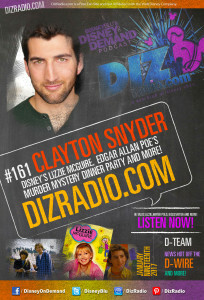 There is news hot off the D-Wire with news on Disneyland, Star Wars, Chewbacca, The Disney Channel, Doc McStuffins, Winnie the Pooh, the Magic Kingdom, the Walt Disney Brand, Netflix, Disney Store, Disney Toys, Disney Junior, Disney Cruise Lines, Star Wars Day at Sea, and so much more!